Take some time to enjoy these links! live a lot somehow finds a way to look amazing when she isn't feeling great - I think the cozy scarf and sunglasses have something to do with it! 100 inspirations features an Ali Larter look for less (and lesser!) - check out how you can get the bold red look for yourself! 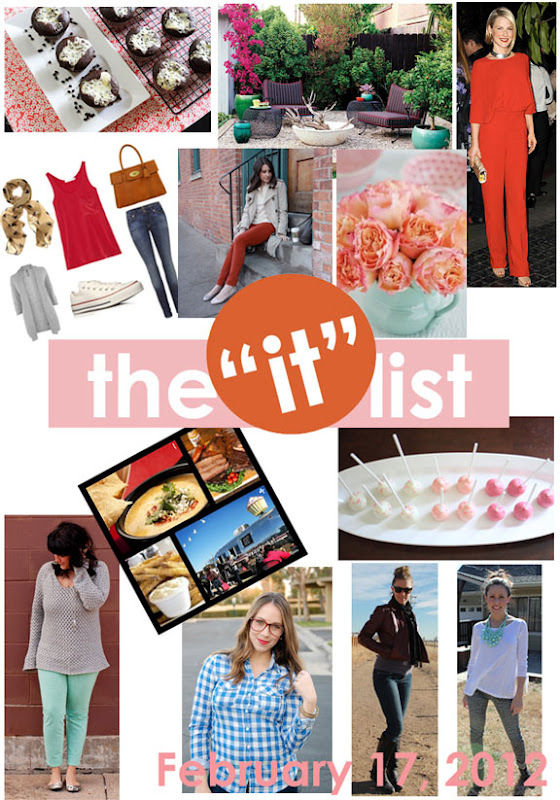 the IT list is produced weekly by jill of good life, for information on how you can be involved, click here!